All the Number One Hip-Hop Albums Ever – A djrobblog exclusive! 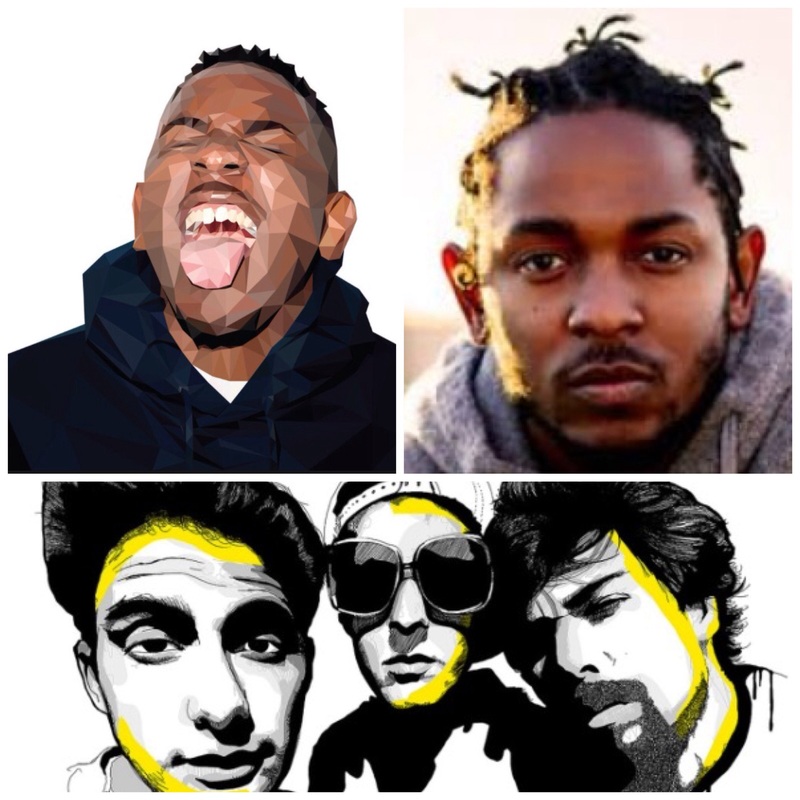 Kendrick Lamar and the Beastie Boys: One of the recent and the first hip-hop artists, respectively, to reach Number One on the Billboard 200 album chart. 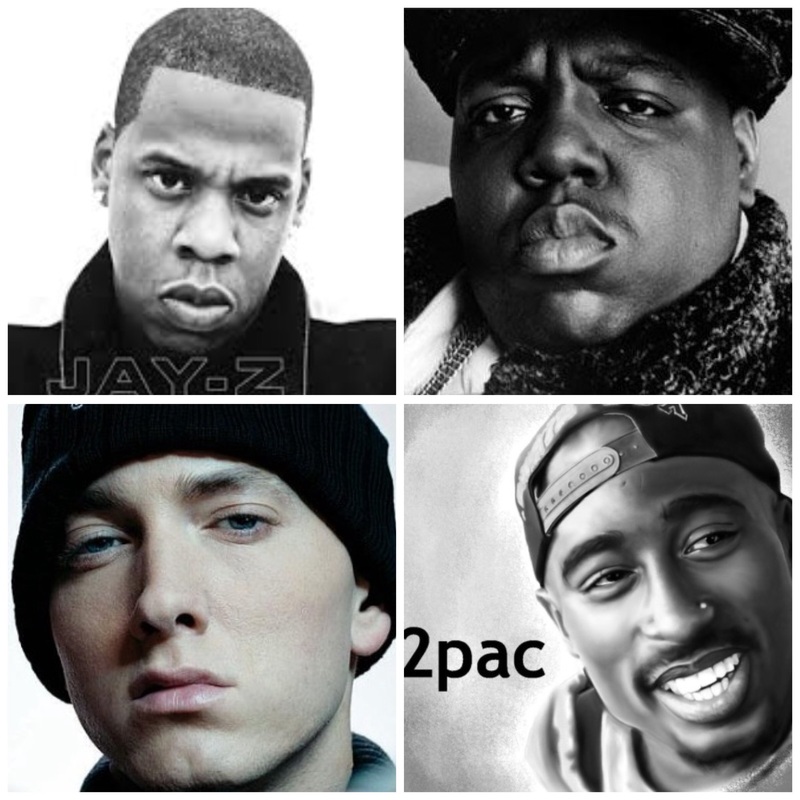 Rap legends from top left (clockwise): Jay-Z, Notorious B.I.G., Tupac Shakur, and Eminem. Between them, they’ve had 32 Number One albums. (Updated April 1, 2019). Here’s an exclusive listing of all 195 rap and hip-hop albums that have reached Number One on the Billboard 200, from the first one in March 1987, the Beastie Boys’ Licensed To Ill, to the most recent as of the chart dated April 6, 2019 (Bad Habits by Nav). You won’t find a more complete and accurate listing of rap/hip-hop albums that have topped the album chart anywhere but here on djrobblog. Rap music first appeared in commercial recordings and on the Billboard charts in the late 1970s, but didn’t cross into the mainstream until nearly a decade later when icons like Run-DMC, L.L. Cool J and Beastie Boys made it more palatable to suburban (white) teenagers. Not surprisingly, the Beasties’ rock-leaning brand of rap was the first to top Billboard’s main album chart. But it wasn’t long before artists like NWA, Tupac Shakur and The Notorious B.I.G. blew the doors wide open. In the 32 years since the Beasties’ triumph, 195 albums that qualify as rap/hip-hop have topped the chart, and djrobblog has tallied all of them right here. (Clockwise from top left): Cardi B, Nicki Minaj, Lauryn Hill, Eve and Foxy Brown are the only female rappers to have achieved No. 1 albums. Soundtrack albums that are predominantly hip-hop in nature are included in this historic recap. However, albums that only contain a small percentage of rap or hip-hop songs are excluded – as are R&B or pop albums in which rap artists mainly serve in featured roles. The year with the most No. 1 hip-hop albums is 2018 with 18, followed by 2017 with twelve, and 2015 with eleven. As an added bonus, you can listen to a key track from each one* of the 195 albums by clicking the link below to access my special playlist on Spotify. (*assuming the artist’s product is available on the streaming service).